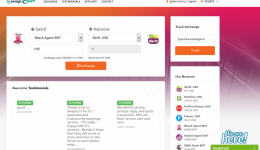 24.Zone website is dedicated to those who wish to exchange own currency in a luxurious way! We welcome you on our grounds and hope that our online service will deliver you the most awesome experience you ever had. 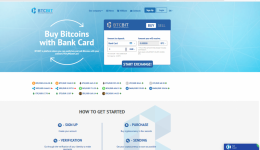 Our major point is to provide our clients the safest and quickest method to make transactions using each of the following payment systems: BTC, EOS, LTC, ETH, Stellar, Tether USDT, Ripple, Advanced Cash, Perfect Money, Qiwi,Visa/Master Card, Western uniоn. Mollah Exchange Ltd was established on July, 2018,operating from Dhaka, Bangladesh, to serve globally. 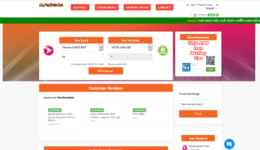 The team of Mollah Exchange provides fast, reliable & low cost e-currency exchange service. The team has comprehensive globally used payment option with local processors.The team is strong and has deep payment expansion and operational management capabilities. 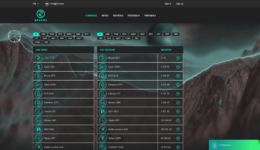 Prostocash -Reliable service for the exchange of all known payment systems and cryptocurrencies. Round-the-clock processing of applications in the shortest possible time. Professional and prompt advice at each step of the application. Large reserves in all available areas of exchange. Personal conditions of cooperation for regular customers. 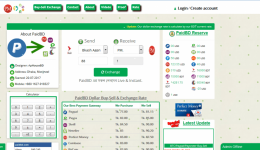 Convenient and intuitive interface of the site will allow you to make currency conversion quickly and comfortably! 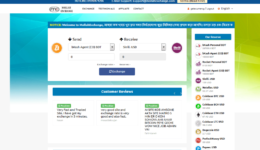 Business Start Year : 2016.
pay2dollar Exchanger is one of the most popular online Exchanger in BD. Here you can change your money in a few minutes. We are the first people in Bangladesh who are working with all types of cryptocurrencies. For Freelancers, here is an innovative arrangement of money. From here you can exchange money from Bangladeshi taka in dollars or USD to BDT. 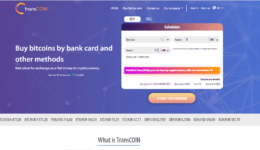 Can be used to change the widely used international wallet in a few moments. Customers can avail this facility from anywhere in Bangladesh. Our Exchange Services PayPal, Skrill, Neteller, Payza, Payoneer, Perfect Money, Web Money, BTC, ETH, XRP, BCH, LTC, Cryptocurrency. 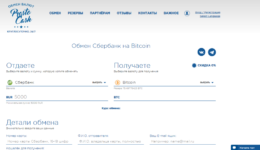 Our On-line service is intended for those who want to exchange such types of electronic currencies quickly, safely and at a favorable rate: Perfect Money, OKPAY, Payza, PayPal, Solidtrustpay, PAYEER, Skrill, Neteller, WEX USD, Bitcoin, Yandex RUR, Qiwi RUR, Alfabank RUR, Privat Bank UAH, Banking RUR, Sberbank RUR, Western uniоn, MoneyGram and more. Business Start Year : 2018 . 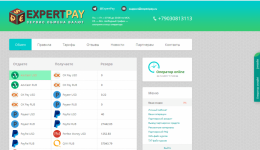 ExpertPay.ru service e-currency exchange, where you can quickly and efficiently exchange money, including payments of the Bank online.